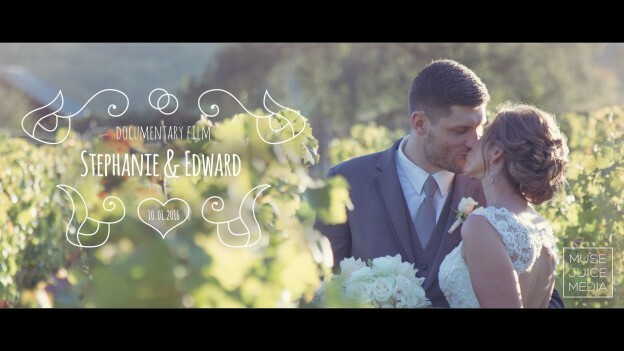 It was such an honor to be the wedding videographers at Brix Restaurant in Napa for Stephanie and Edward. These two, along with Edward’s beautiful daughter and mother, flew all the way from Australia to get married back at Stephanie’s home of California. The ceremony and reception took place in the middle of the vineyard and Brix—it was truly one of the most goregous wedding locations we’ve ever seen. Everyone was so sweet and Stephanie and Edward were so relaxed and great to work with, we had a lovely time with these two and were so thrilled to shoot for them. Many thanks to our previous client, and Stephanie’s best friend Erin (watch her wedding film here), for referring us to Stephanie and Edward! Stephanie and Edward, thank you so very much for having us. Filming and editing such gorgeous footage was truly a pleasure! We wish you both the best! This entry was posted in Brix Restaurant, Rue 29 and tagged best napa videographers, brix napa, brix restaurant, brix wedding, napa videographer, napa wedding, winery wedding on December 7, 2016 by christa.